Perfect for family rooms bedroom and small areas. The Fujitsu Inverter ASTG09KMCA reverse cycle split system is suitable to air condition a single room the size of a study or small bedroom. The ASTG09KMCA uses the latest inverter technology. The lifestyle series are the most energy efficient air conditioners Fujitsu have designed. They also feature human sensor control, delivering optimum efficiency and temperature control. SKU: ASTG09KMCA. Categories: Fujitsu Split Air Conditioning, ASTG09KMCA 2.5kW Split. Perfect for large rooms such as lounge rooms and large size areas. 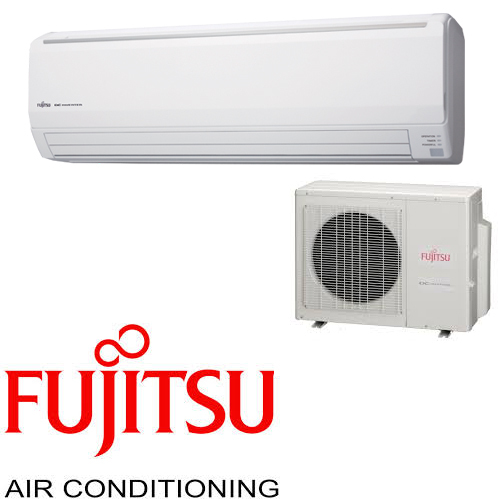 The Fujitsu Inverter ASTG22KMCA reverse cycle split system is suitable to air condition a room the size of a typical lounge room. The ASTG22KMCA uses the latest inverter technology. The lifestyle series are the most energy efficient air conditioners Fujitsu have designed. They also feature human sensor control, delivering optimum efficiency and temperature control.